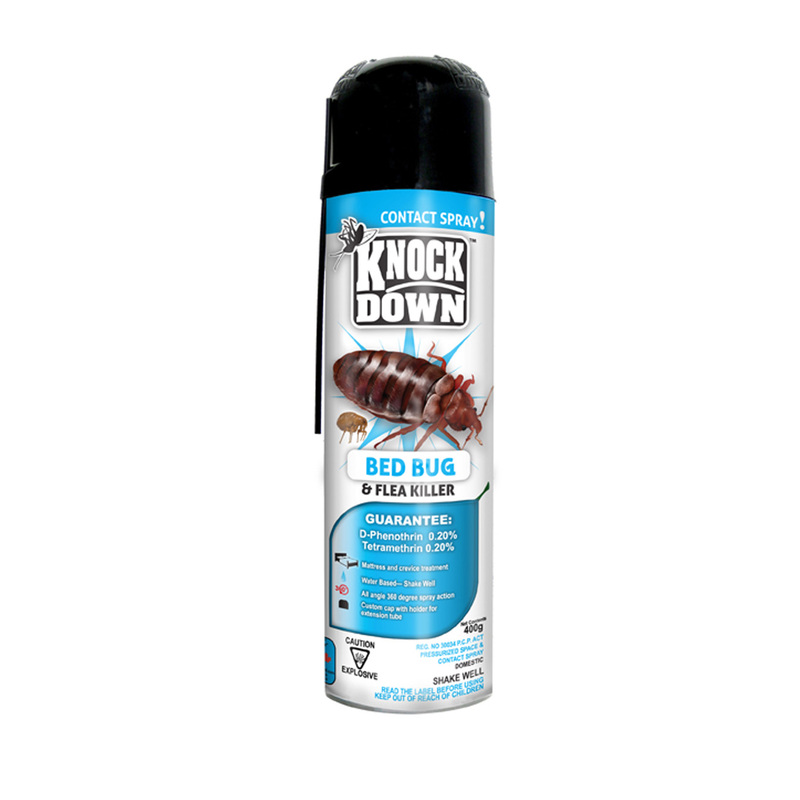 KD111DS – KNOCK DOWN – BED BUG KILLER – KUUS Inc.
D-Phenothrin is an insecticide belonging to the pyrethroid family. Pyrethroids are the man-made versions of pyrethrins, natural insecticides from chrysanthemum flowers. D-Phenothrin is used in homes, commercial settings, gardens, pet products, and mosquito control programs. D-Phenothrin can kill insects by direct contact or if they eat it. It disrupts their normal nervous system function. It is less toxic to mammals due to their higher body temperature, larger body size, and lower sensitivity to the chemical. Before treatment, remove all bedding and thoroughly vacuum and air out of mattresses and box springs. Allow treatment to dry before remaking bed with freshly washed bedding. Spray animal sleeping quarters and floors around area, but not furniture or carpets that people regularly contact. DO NOT SPRAY PETS.